Metal and wooden chessmen. 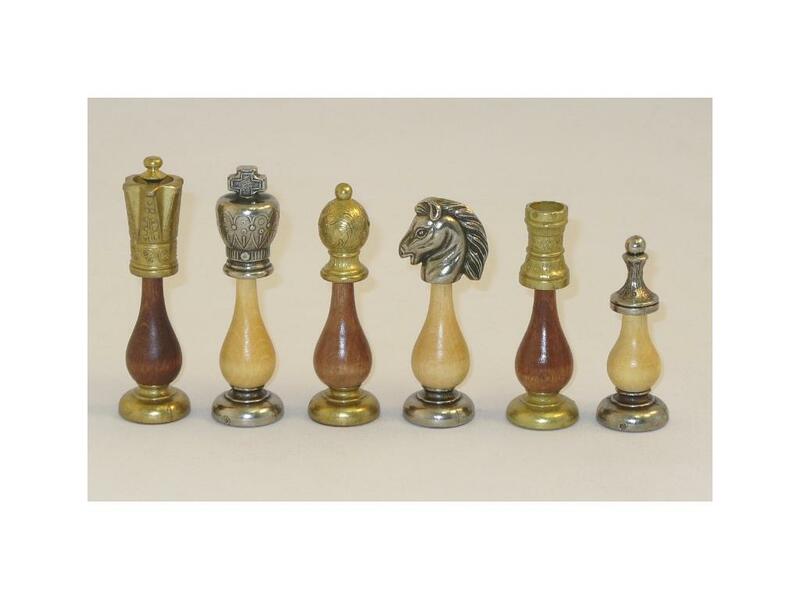 Chess pieces wrap around metal tops and bases in these metal chess pieces. 4" King height. Made in Italy. Page P4317 Copyright © 1999-2019 GammonVillage Inc., USA. All rights reserved.